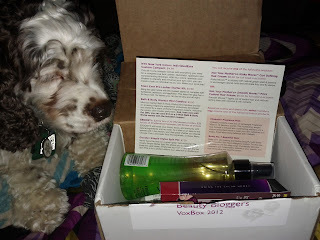 A few weeks ago I got an email saying I was chosen for a Beauty Blogger VoxBox. I, of course, was super excited. I do love me some beauty. Then about a week ago I got this box full of goodies. 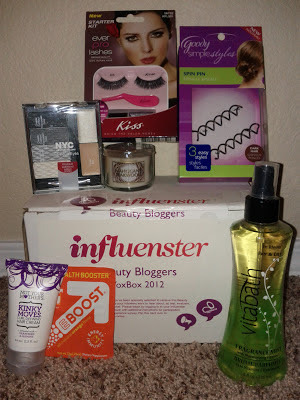 It's pretty awesome and I am really happy to see such a good mix of different products. Of course I was instantly smitten with the Bath and Body Works candle, as they are easily one of my favorite candle makers. And I adore their fall scents. I'm very excited to be trying all of these items. 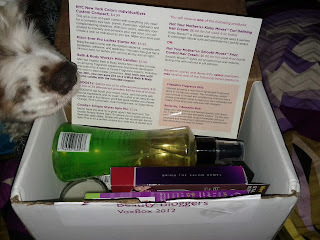 In the coming days/weeks you'll be seeing reviews as I get to trying all of these items. So keep an eye out for those! 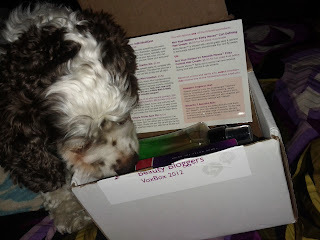 Oh and while I thought the VoxBox was awesome, Emmett thought it was even better! He just kept creeping up to the box and then dove in. I'm still not 100% sure what it is in the box that he loves, but he kept harassing the box till I took everything out.